Good Friday is traditionally a time when we remember Christ’s final days leading up to his crucifixion. This year, the Good Friday Choir, 288 Student Choir, and orchestra will present, “It Is Finished”, a musical work focused on Christ’s ministry on earth. 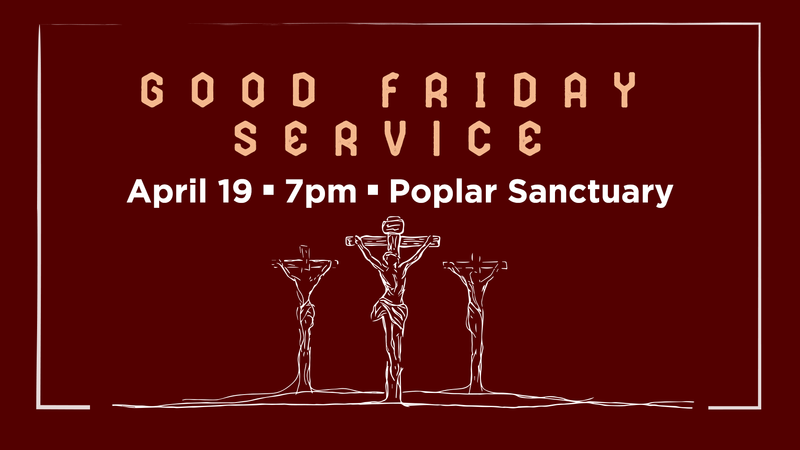 Join us on Friday, April 19, at 7pm in the Poplar Sanctuary for this moving service.